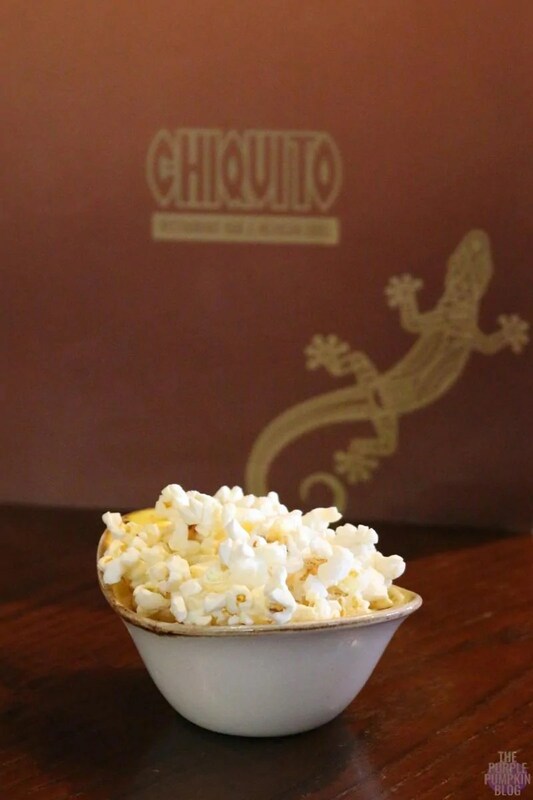 A few weeks ago, I received an email about Chiquito, the UK’s most loved Tex-Mex restaurant, and learned that they were nominated as a finalist in the renowned Casual Dining and Pub Awards 2016, The National Burger Awards 2016 and in the Midas Awards 2016. 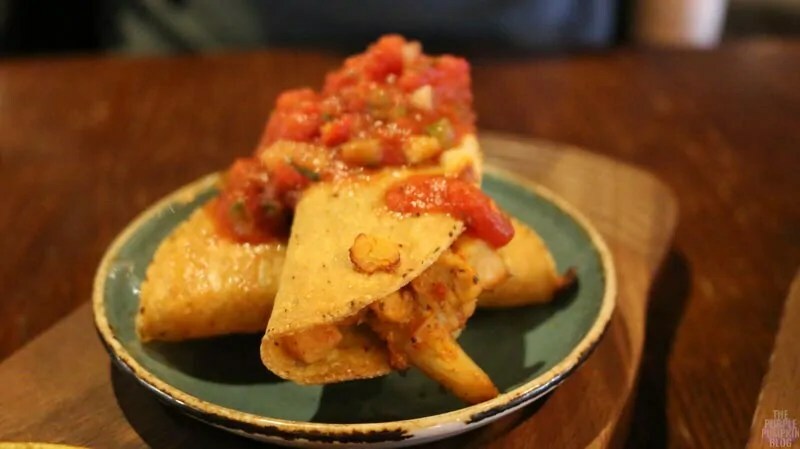 As a family, we love Tex-Mex, often cooking it at home, but it’s been many years since we’ve been to a Chiquito restaurant. We have one fairly local to us in Dagenham, and with Steve off work, and Liam off college, we went for lunch one Monday afternoon. We’ve not been out together for quite a while – Liam works on weekends now, and at 17, isn’t so bothered about going out with us old folk anymore! But when Tex-Mex food is involved, he wasn’t able to say no!! 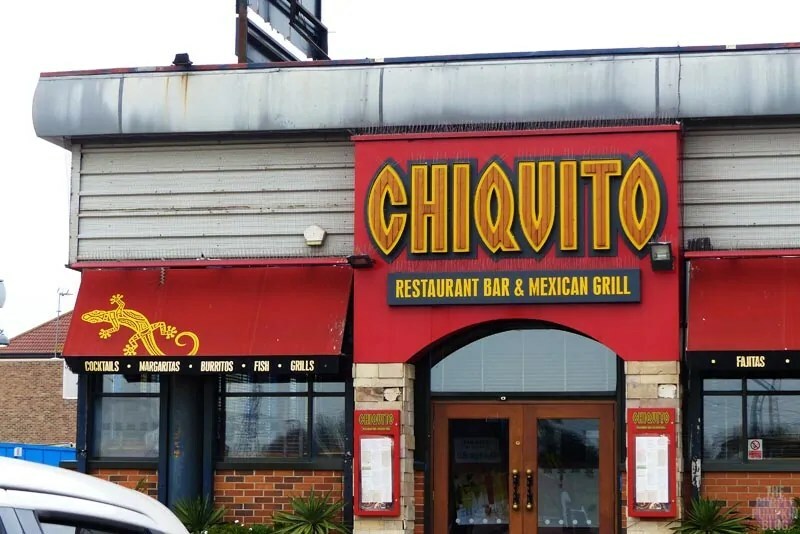 This particular branch of Chiquito is on an entertainment type complex, with a cinema, bowling alley, and nightclub nearby. I imagine on weekends, and in the evenings it gets very busy. Suffice to say, when we went on a Monday afternoon, there were only 2 other tables, besides ourselves. This suited me down to the ground to be honest, as I’m not so good with getting out in public these days. We parked in the carpark in front of the restaurant, and went inside. A server came to welcome us, and show us to our table. 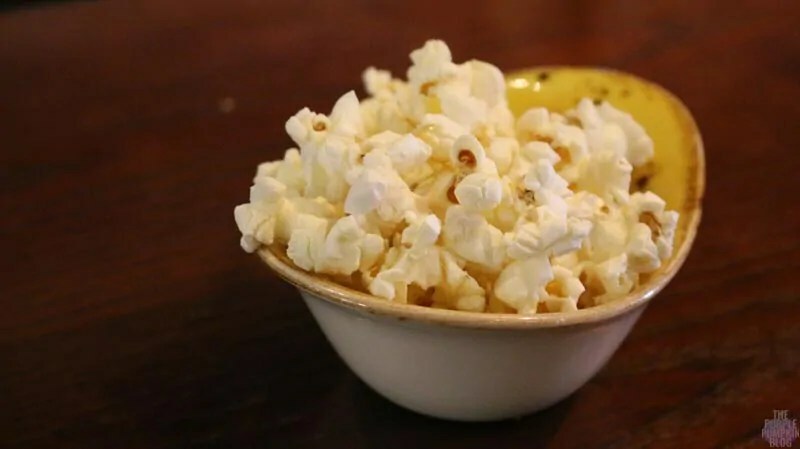 We were given a small bowl of salted popcorn, and some menus to look at. 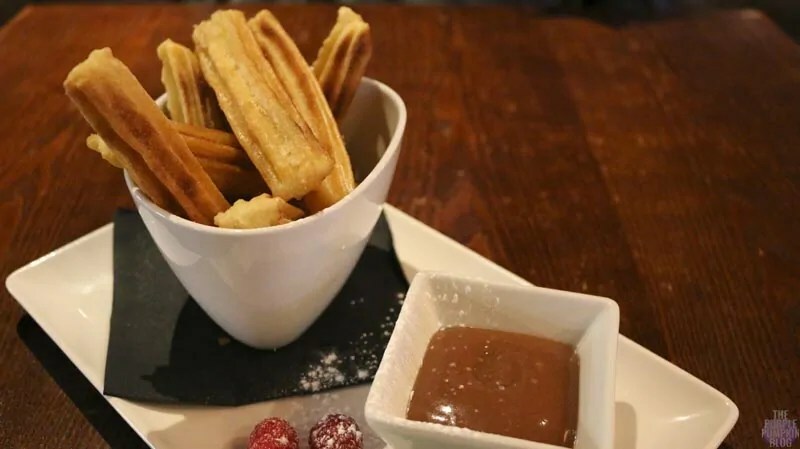 I let the server know that Chiquito had provided us with a voucher to use to pay for the meal, as I know from experience with vouchers (gratis, or otherwise) that it’s best to advise that you’re planning on using them. Once all was confirmed it was fine to use them, we took a look at what was on offer. We ordered a drink each first, and asked for more time with the menu. It’s quite extensive, and there were lots of delicious items to choose from. For drinks, Liam stuck with his usual coke, and Steve and I had an Agua Fresca – a refreshing blend of fresh lime juice, fresh fruit and fruit purée – a Mexican classic. Since there were two flavours to choose from: Strawberry & Raspberry or Passion Fruit & Mango, we had one of each. The Agua Fesca cost £3.95 each and came with refils at a £1 a time, which I thought was good value. The restaurant itself was dark, but I liked the whole vibe of the place – even though it was empty! 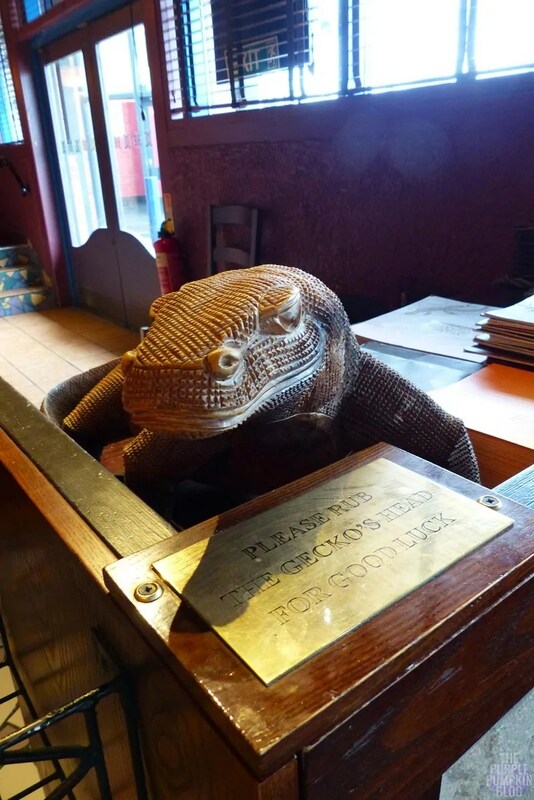 It is a big restaurant, with a bar area, and Mexican bric-a-brac, and art on the walls. Mexican music was playing, and on a lively Saturday night, I can imagine this place to really come alive. Back to the menu, which was broken down into sections with Starters, Sharing Starters, Street Food, Our Famous Fajitas, Viva Mexico!, Mexican Paella, Taco, Tex-Mex, Burgers, Flatbread, Steak and Fish, Salads, Sides. There was also a lunch menu, which is in the form of special offers: Available Monday to Friday 11am to 5pm. Main meals from only £6.95. Add any starter or dessert for just £3.75 each. 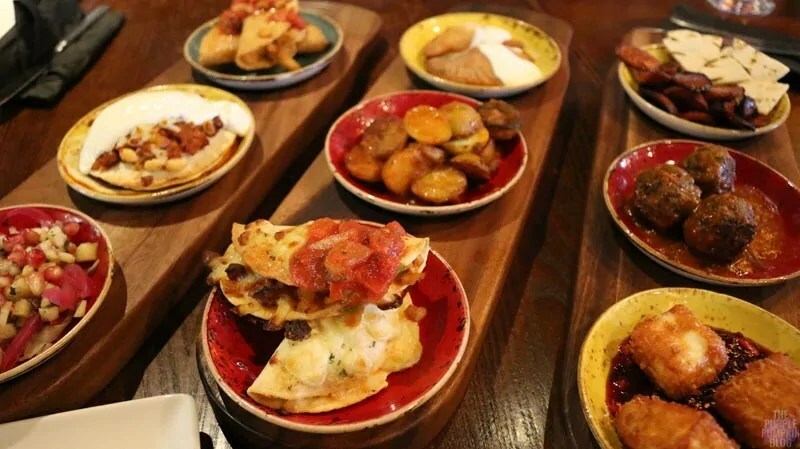 And Chiquito also have a breakfast menu available everyday from 9am to 12pm. We picked from the main menu. Tortilla chips, stacked high and covered in jalapeño cheese sauce, jalapeño peppers and melted mozzarella. Topped with guacamole, sour cream and tomato salsa. Choose a topping from: spicy chicken, beef chilli or chorizo & cranberry salsa. We had ours with beef chilli, and they were some good nachos! Definitely on the spicy side, but just how we like it. The promise of being fully loaded was honoured, with generous toppings of the chilli, salsa, guacamole, and sour cream, and slices of jalapeño hidden in the layers. Loved the sprinkling of coriander which lifted all the flavours. We just shared straight from the bowl that the nachos came in, but would have liked to have been given some small plates to dish up on to. We made short work of this generous portion which says it’s for 2-4 people. 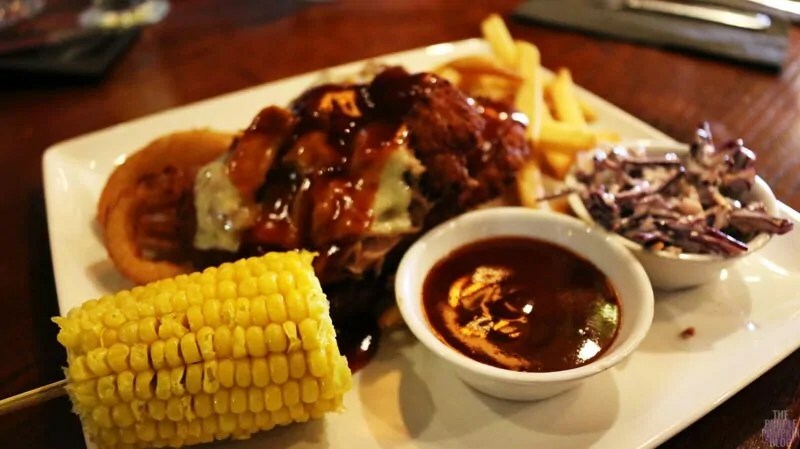 Crispy southern fried chicken breast, topped with slow-cooked pulled pork, BBQ sauce and Monterey Jack cheese. Served with skin-on-fries, corn on the cob, onion rings and homemade slaw. 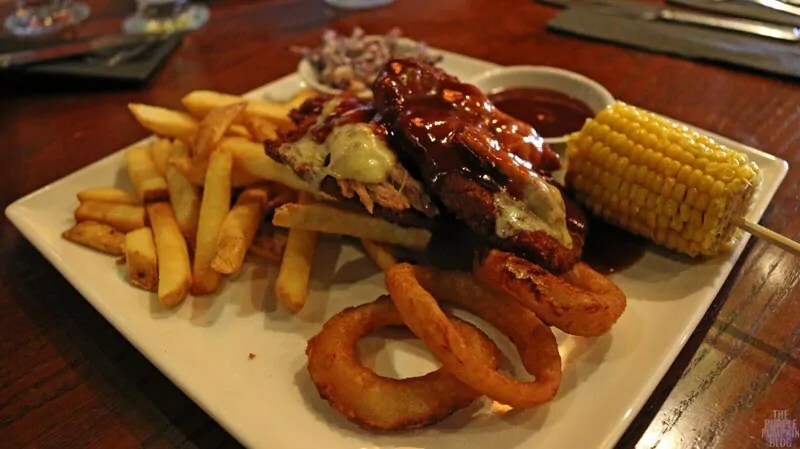 He had already been eyeing up the chicken as a starter, but I suggested this combo to him, as it had one of his other favourites – pulled pork. He thoroughly enjoyed this dish, since it contains pretty much all his favourite foods! He only left the coleslaw, because he doesn’t do that. I know he was full by the time he’d finished everything off, so it was a good size portion. I zoned into the Street Food section of the menu, because it gave us the opportunity to try lots of little dishes, much like tapas. There are 13 to choose from – you could pick 3 for £12.95 or 6 for £23.95. We actually decided on nine of the little plates, and by the end of eating our way through it, were stuffed – almost – we did have dessert too! Each dish came presented on colourful plates that sat in recessed wooden boards, and were given a small plate each to place our food onto. I’ll describe what each dish was below, and what we thought of them. We preferred some dishes over others, but overall, everything tasted good, and we both liked that we could try out different flavours in one meal. 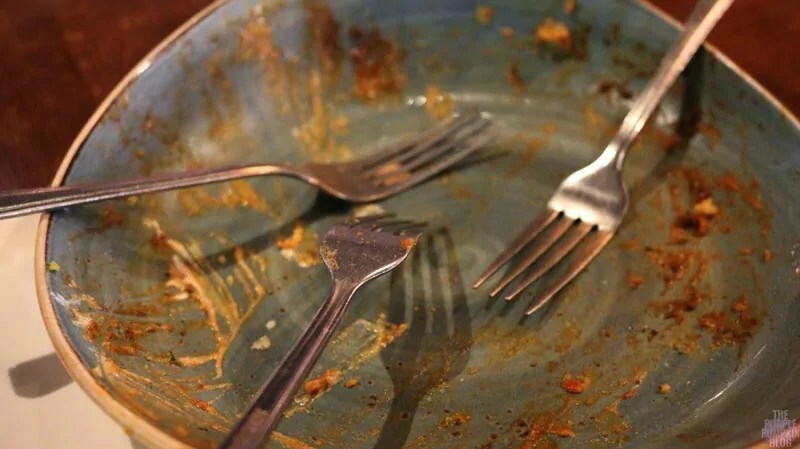 Our only gripe was that everything went cold quite quickly – I feel the plates should have been warmed up first, which I think would have helped. 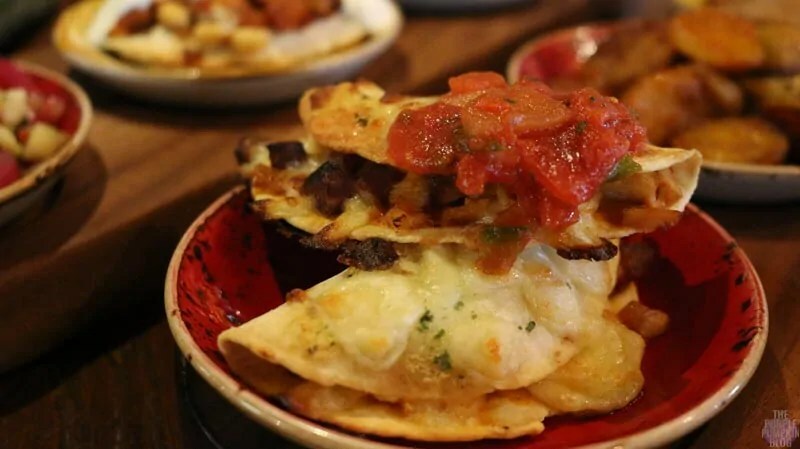 Two folded tortillas topped with mozzarella and baked until golden. Filled with tomato salsa and your choice of: chicken, chorizo & sweetcorn, sweet potato & feta (v). We had chicken, chorizo and sweetcorn as our filling. We really enjoyed these. Two crispy tortillas filled with spicy chicken, melted cheese and topped with sour cream. Ours were not topped with sour cream, but with salsa instead which was on the spicy side, but it all tasted good. Loved the crunch of the taco shells. 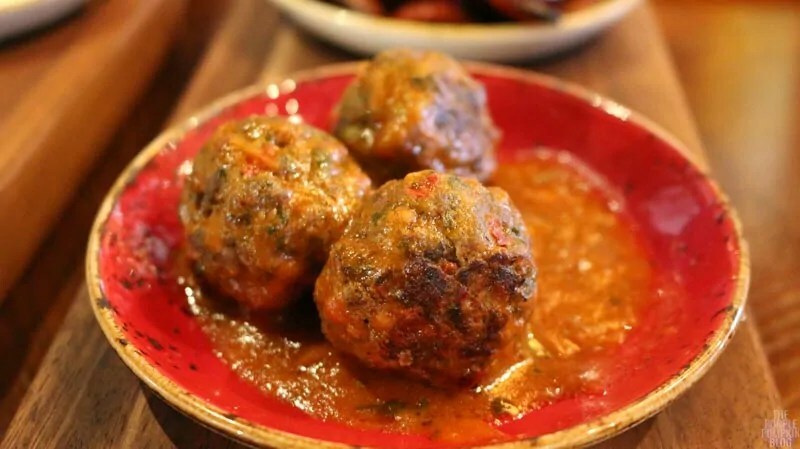 Succulent beef meatballs in our tomato & hot Habanero sauce. Considering these were in a Habanero sauce I didn’t think they were too spicy. They were really meaty and full of flavour – one of our favourites of the bunch. 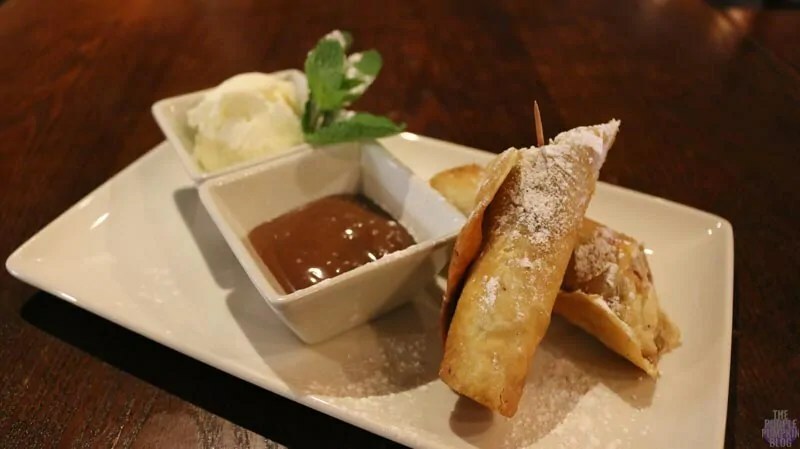 Crispy parcels, filled with your choice of: Spicy Chicken, Roasted Vegetables and Feta (V) or Beef Chilli. We both thought these were a bit too dough-y and not much filling. A shame as they did taste good. 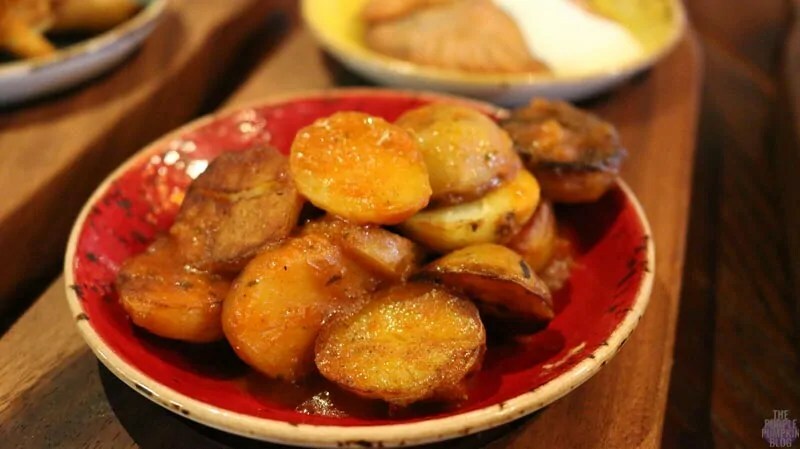 Pan-fried potatoes, with our tomato & hot Habanero sauce. I personally found these to be a bit on the bland side, and added some extra salt to them. A simple classic! Sliced chorizo, pan-fried in red wine. 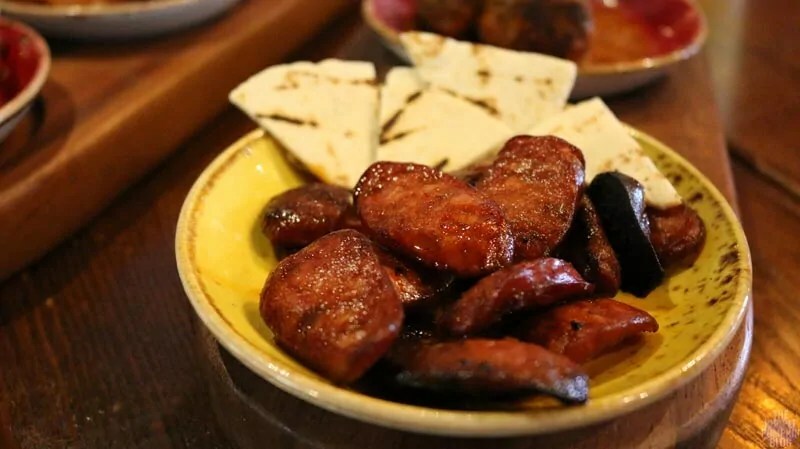 We love chorizo – always order a large portion when we go out for tapas. The toasted pita bread triangles were a nice accompaniment too. 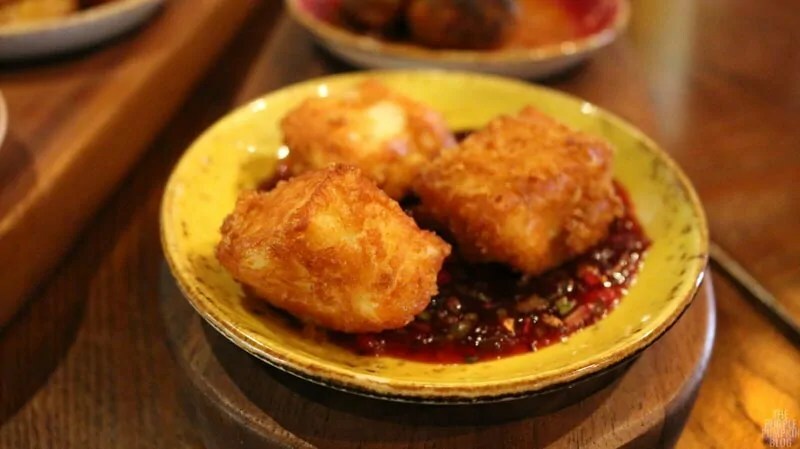 Lightly fried crunchy pieces of halloumi, topped with a sweet cranberry salsa. Not a very Mexican cheese – halloumi is Greek Cypriot after all – but wow, these were delish! The cranberry salsa was divine. 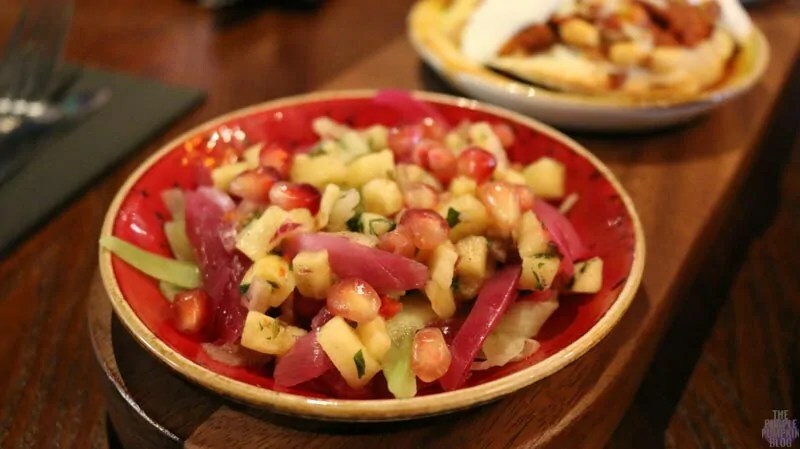 A light salsa of cucumber ribbons, chilli beetroot, orange, pomegranate, and pineapple, then garnished with fresh red chilli and coriander. A lovely refreshing salad, and one I would make at home for a summer party. 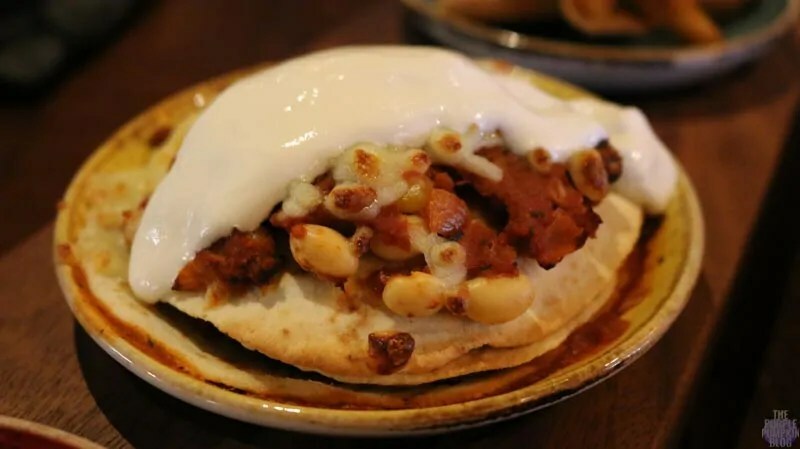 Beef Chilli or Five Bean Chilli (V) layered with melted mozzarella between soft tortillas. Baked in our tomato sauce and topped with sour cream and pink onions. I really enjoyed this one. 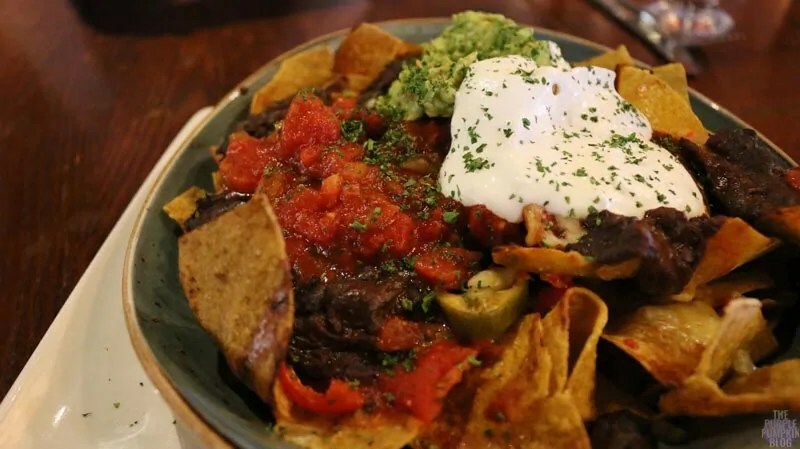 We had the stack with five bean chilli, since we’d already had the beef chilli on our loaded nachos for starters. And finally, dessert. 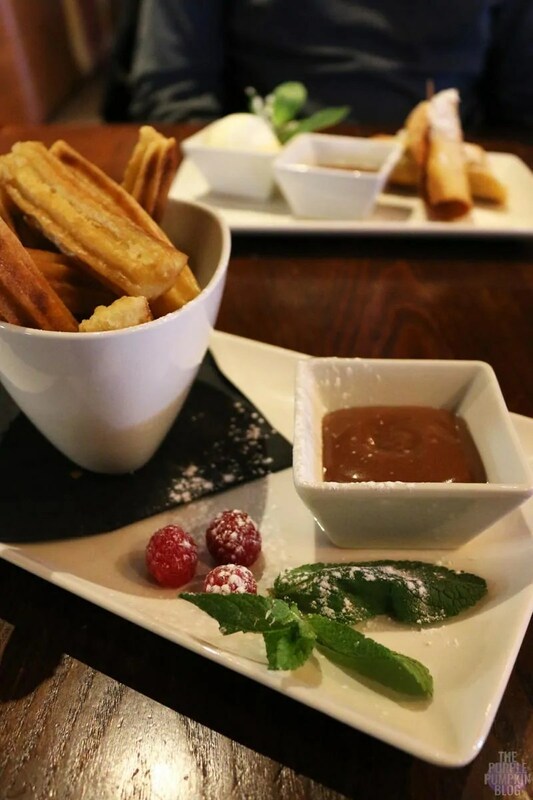 If we go out for a meal, we generally go the whole hog, and have three courses – there is always room for dessert! I decided immediately on Churros. The last time I’d had those was back in 2013 on holiday in Florida. Steve had Fruit Taquito. Liam didn’t want a full dessert, but was happy to take a couple of the churros from my bowl. Both Steve and I said it would have been nice if the chocolate sauce that was on the side had been warmed up. It didn’t stop us yumming up these sweet treats though! 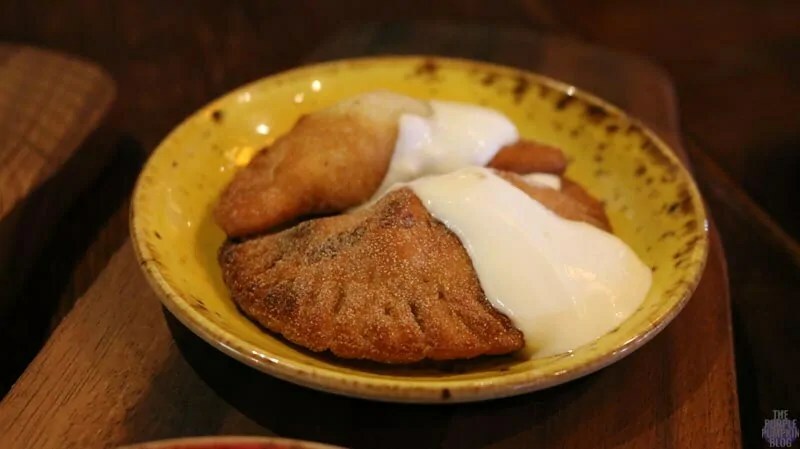 Delicious soft dough, fried until crispy and golden. Drenched with cinnamon sugar, served with fresh strawberries and a pot of chocolate sauce for dipping. 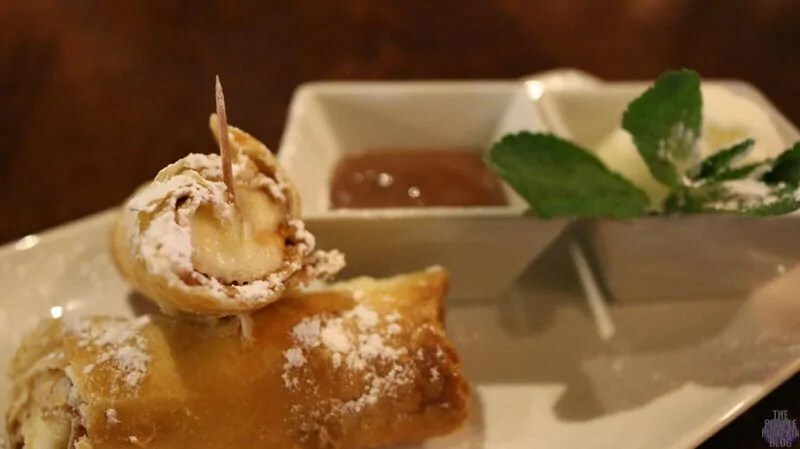 Your choice of banana or pineapple wrapped in a cinnamon tortilla and fried until golden. Served with vanilla pod ice cream and chocolate sauce. Completely stuffed from our lunch, we asked for the bill, and paid with the vouchers we had been given, as well as in cash for the extra we had spent over the voucher amount. 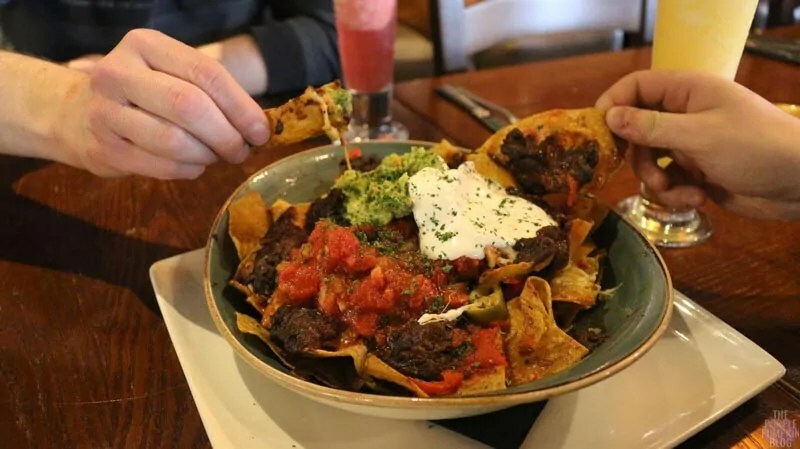 We thoroughly enjoyed our meal at Chiquito and will definitely be back at some point in the future to try out some more of the offerings on the menu! Disclosure: We were sent vouchers to pay towards our meal. All opinions are our own. 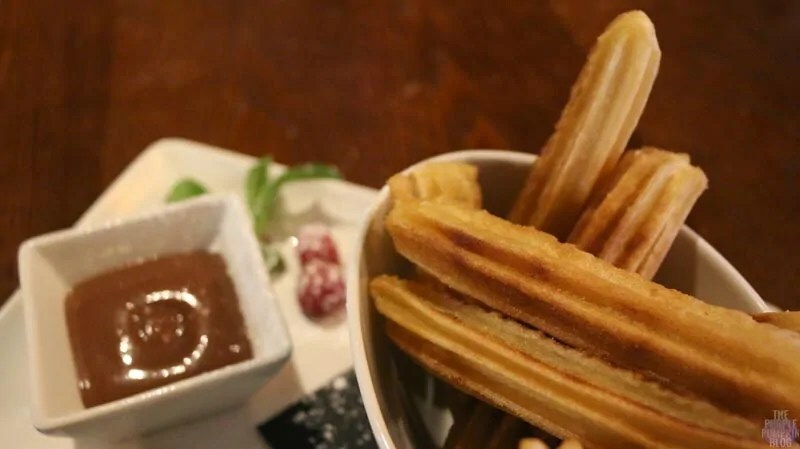 Ooh I love mexican food and especially churros, totally yummy and the tapas sounds right up my street, being able to try a little bit of everything is the best way to try new foods.